Earlier this year, we got a glimpse of the fashion trends that were coming for fall and winter, and though what to wear on our upper bodies is always important, what to wear on our feet is sometimes even more exciting. 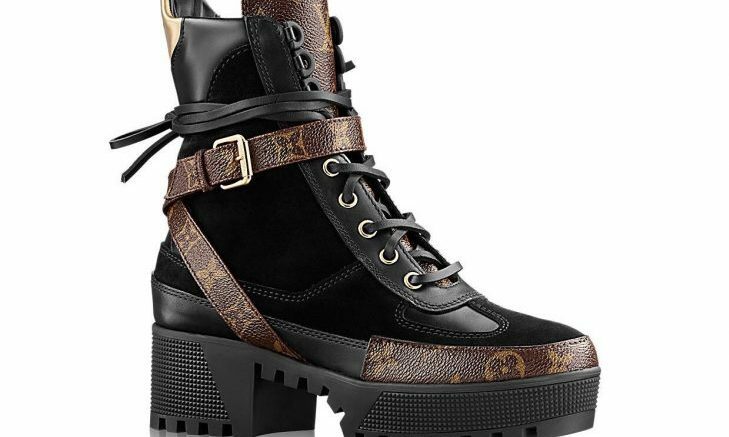 Elle.com released the hottest boot trends that walked down the runways. Latest celebrity styles range from crimson statement kicks to waist-highs There’s more to rock than the classic black ankle boot. How can you rock the hottest celebrity styles this boot season? …Can’t wait to see more? Click to view! 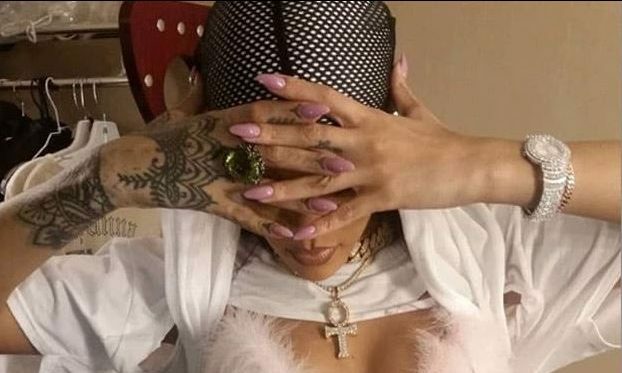 In celebrity couple news, it has been revealed that Rihanna has been hooking up with businessman Hasaan Jameel for a few months! The two were photographed for the first time in Ibiza in June, where they seemed to look very into one another. According to UsMagazine.com, the couple was spotted kissing and later getting coffee together on June 26. Rihanna may be part of a celebrity couple again! What are some ways to know if a new relationship has staying power? …Don’t miss the rest — click here to finish reading! Are you looking to spruce up your look for spring and stand out in the sunny weather? Don’t be fooled by the brilliant colors of this fresh new season; the newest cutting edge beauty trend of 2017 has effectively proven that even the more muted tones in the rainbow can be smooth, stunning and, of course, supremely stylish. Mauve is the talk of the spring season this year, with mauve accessories and make-up claiming their place as the must-have beauty staples of the most fashion-forward. This superb shade may be subtle, but it certainly doesn’t lack star power, and your favorite celebrity looks this spring are destined to be mauve masterpieces. Whether adding a dash of color to a pretty pout or making nails look fabulous from every angle, see why mauve is the most versatile and stylish color and beauty trend of 2017 so far! …Think you could work a beauty trend based around this cool color? Click here to see the best ways to incorporate it into your signature style! Everyone is wondering if a new celebrity couple is forming between Jennifer Lopez and Drake! According to UsMagazine.com, their social media posts are definitely heating up, and while the two have not confirmed a relationship, things are definitely looking cozy! Drake’s celebrity ex Rihanna definitely is not happy with the pair’s closeness, and over the weekend, Rihanna unfollowed Lopez from Instagram. Previously, the two spoke very highly of one another. Lopez said, “I’m a huge Rihanna fan….and I feel like she’s such a girl’s girl, which I love because I’m a girl’s girl and she seems very sweet.” In turn, Rihanna gifted Lopez a pair of $4,000 boots from her collaboration with Manolo Blahnik. The handwritten note to the mom-of-two read: “To the baddest. Because I know you’re gonna wear them better than me.” Looks like Drake and Lopez may just be the real deal! There could be another celebrity couple to contend with! What are some ways to have fun with your relationship announcement to friends and family? Another celebrity couple bites the dust. This time, Rihanna and Drake have called it quits and have yet again become celebrity exes. The two have been on and off together for over seven years and just can’t seem to make it work. According to UsMagazine.com, “She doesn’t want to be held down.” A second insider adds, “They will always be close. If they end up together, it could happen, but not now.” The same source claimed that they were never serious and just hanging out casually. Fans really believed that the two were in it for the long haul this time around. Unfortunately, it wasn’t the right time for the relationship to work. This celebrity couple is no more … again! What are some ways an on-again-off-again relationship is unhealthy? Rihanna and Drake are at the forefront of celebrity gossip right now after the 2016 MTV VMAs. In celebrity news, Drake presented her with the Vanguard Award and admitted his love to her. According to EOnline.com, the celebrity couple was seen at the Up&Down nightclub where they partied in celebration after the VMAs for a night of drinking and dancing. Sources saw them walk in holding hands. This celebrity news has us awww-ing. How do you know when to officially confirm your relationship with friends and family? The VMAs are always a sight for celebrity gossip. 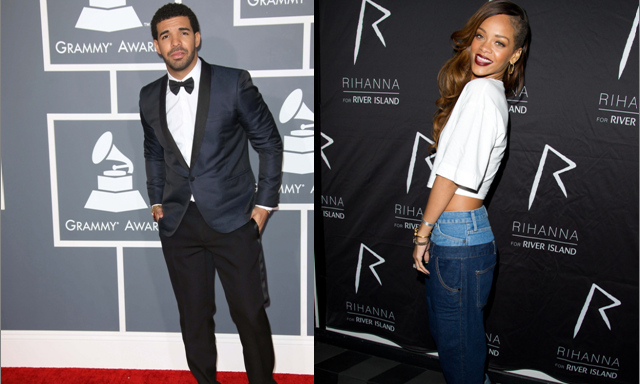 This year was no different as Drake presented Rihanna with the Michael Jackson Vanguard Award. According to UsMagazine.com, his speech was pretty heartfelt. He said, “She’s someone I’ve been in love with since I was 22 years old. She’s one of my best friends in the world. All my adult life, I’ve looked up to her even though she’s younger than me.” In celebrity news, fans watching thought Drake was going to pop the question. His rumored relationship with Rihanna has been on everybody’s minds as this celebrity couple is already cranking out great hits. A proposal would be the icing on the cake. This celebrity news really didn’t surprise anyone, but it was cute nonetheless! What are some ways to publicly announce your relationship? Barbadian songstress Rihanna and Canadian rapper Drake are making celebrity news once more with their on-and-off relationship. The pair has been seen together on late night ventures, international concert performances and even on loving Instagram posts, but they still deny being in a celebrity relationship! Despite having years of history together, an insider from EOnline.com has told the publication, “Rihanna loves Drake, but is still not ready to put a title on them.” According to the insider, Drake has felt strongly for the singer for years now and wouldn’t hesitate to make their celebrity relationship official. “Things are great though and their connection is really strong. Things are progressing nicely,” said the insider. Fingers crossed that this amazing musical duo takes their relationship to the next level soon! This celebrity relationship has yet to be labeled. What are some things to consider before labeling your relationship? …Don’t know if a label is right for you? Read more! In the latest celebrity news, three famous couples have caught the public’s attention, whether it be Drake and Rihanna’s rumored celebrity relationship, Eva Longoria’s third celebrity wedding, or Lea Michelle’s next shot at love. Who’s stepping out in Hollywood this time around hand in hand? Join me as I look into the crystal ball of relationships and love. Below, I share my predictions for these celebrity couples. Rihanna and Drake might have more than just musical chemistry. In celebrity news, this potential new celebrity couple was seen together at an afterparty at The Nice Guy in West Hollywood after her concert. According to UsMagazine.com, Drizzy threw the party for her after her sold-out show. This on-again-off-again celebrity couple can’t get enough of each other. The celebrity gossip is that they were being very affectionate and loving. Sounds like sparks are flying for this duo. There may be a new celebrity couple in the entertainment biz! What are some ways to get to know someone without starting gossip? Rihanna has finally opened up about her relationship and subsequent celebrity break-up with Chris Brown and why she chose to get back together with him for a short time after he abused her. This celebrity news has been on all of our minds for quite some time! According to UsMagazine.com, Rihanna shared with Vanity Fair the details of her celebrity relationship with Chris Brown. She thought she would be able to change him at the time. She told Vanity Fair, “Sometimes you just have to walk away.” She still cares about Brown, but the two aren’t friends and are not in each others’ lives. Glad to hear Rihanna is in a much better place in her life now! This celebrity news has been a long time coming. What are some ways to move on after an abusive relationship? Celebrity love is in the air! Singer Rihanna and Formula One race car driver Lewis Hamilton are enjoying the excitement of their budding celebrity romance. According to a source who spoke to EOnline.com, “She is taking it very slow and just having fun, but she likes who he is and what he is about.” The duo were spotted at the annual Carnival in Barbados. Things are heating up and getting serious between the pair. They have Cupid’s blessing! This celebrity love is brand new! What are some ways to decide if you should get more serious with a partner or not? Are Rihanna and Soccer Star Karim Benzema a New Celebrity Couple? Is there a new celebrity relationship on the horizon? E! Online.com recently reported that Rihanna was spotted spending a late night with soccer star Karim Benzema. The reported celebrity couple went to a few clubs in New York before going to a 24 hour Cuban restaurant. Although, Rihanna has had a very busy year, which leads us to wonder if she even has time for a celebrity relationship. New celebrity couple alert! How do you know if you’re ready for a new relationship? How do you know whether to get back together with an ex? 1. The factors: Think about the reason why you and your ex parted ways. Was it because of infidelity? Was it because you could not agree on anything? Chances are, these problems will not go away if you decide to go another round – they are the reason why you all are not together today. Remember the saying, if you want different results, do something differently. 2. The feelings: A lot of times, people allow their hearts overpower their intelligence. If you know for certain your ex is absolutely terrible for you, do not put in the effort trying to reconcile. Replay the good versus bad instances throughout your relationship. Question whether the good outweighs the bad. This could possibly lead you to the answer on if you and your former lover should work things out. 3. The change: One of the most important conversations to have with your ex before reuniting is how will the relationship change? If you two have not grown enough individually, then you should not want to risk it again. It will be a repeating cycle: same differences, same arguments, and same outcomes. Think about the failed relationship’s faults and create methods to better them for the next time. What are some things to consider when getting back with an ex? Share your thoughts below. Nothing like a romantic city to bring two pals together. Rihanna attended Drake’s concert at the Palais Omnisport de Bercy in Paris on Monday, Feb. 24. After the show, she was photographed meeting the rapper at Club 77. “She didn’t want to be seen at all,” an onlooker reported to UsMagazine.com. “She kept her head down and charged through the back of the club with her friends.” The eyewitness then added, “Drake looked very tired, but he was smiling around Rihanna. They chatted, danced a little, and seemed close.” The two had also been spotted grabbing dinner together the night before. Although they’ve never come out as a couple, there have been rumors about Drake and Rihanna dating on-and-off for two years now. How do you keep rumors from affecting your budding relationship? Celebrity Couple: Chris Brown and Rihanna Call It Quits…Again! How do you know when to call it quits in a relationship? …Want more information? Click here to more. Singer Chris Brown celebrated his 24th birthday with a big bash in Hollywood this past weekend. According to UsMagazine.com, his on-again, off-again girlfriend Rihanna was in New York City for her Diamonds tour, unable to attend. During the celebration, he was accompanied by several friends — including, notably, ex-girlfriend Karrueche Tran, whom he dated for a year before getting back together with Rihanna. How do you keep jealousy at bay in your relationship?